The National Park Service Brand: Do I have a Franchising Opportunity for You! Over the last year the George Wright Journal has been running a series of Centennial Essays reflecting varying perspectives on the future of the National Park Service. The most recent piece by Holly Fretwell, a research fellow at the Property and Environment Research Center (PERC) in Bozeman, Montana, offers a different viewpoint on how to address the agency’s difficult financial situation and the public’s desire for more national parks (George Wright Forum Vol. 32 No. 2 2015). Her proposal in a nutshell – what if the NPS were to franchise the NPS brand and offer it to entrepreneurs to run new park sites that were deemed to be of national significance? Then these new units could remain under local governance, but would be given “national park” stature. As the centennial approaches all things should be on the table. The NPS has proposed a package of anniversary legislative initiatives with a focus on creating a range of new funding streams. The call to action by conservative conservationists, who represent the views of many members of Congress, is quite different. It is their position that the NPS needs to take care what it has and concentrate the nation’s limited dollars on the ‘crown jewels’. Yet how to deal with both the public’s and politician’s desire for new parks? Her suggestion is to re-imagine the NPS brand as a franchising opportunity. This is not new idea. The Smithsonian has been doing this for years with their Affiliates program. And going all the way, the once nonprofit National Geographic Society just sold their magazine, books, maps and other media to a consortium headed by 21st Century Fox the Rupert Murdoch controlled company that owns the Fox television network and the Fox news, for $725 million. Needless to say it is unlikely that the many voices who are committed to ‘America’s Best Idea’ will embrace this approach. The Coalition to Protect America’s National Parks and National Parks Traveler have both come out with a spirited defense for an expansionist approach. See for example the editorial The National Park System: Why it should continue to Grow. Fretwell argues that given the current fiscal climate, Congress is understandably reluctant to allocate the dollars needed to manage existing new park units, let alone funding new additions. And at the same time it is politically popular to keep naming new areas and cut those celebratory ribbons. So to bridge the gap she endorses expanding such existing programs like the Fee Demonstration Project and raising user fees all around. However, her big idea is that the American public needs a new model to manage new national parks in the future – let those constituents who seek national park status create and maintain them. This new model would operate more like a charter school or a franchise. The NPS as franchisor would license the use of the brand and provide general support. The agency would set the parameters for management and approve a business plan. This approach would ensure that new parks would have strong grassroots support. The new areas would be locally governed, enjoy the benefit of a partnership with park professionals and enjoy the leverage of the NPS brand. Voilà a NPS experience at substantially reduced cost to the taxpayer! As I read the elements of Fretwell’s franchise model, I was assailed by a sense of creeping familiarity – An approach that offers a way to get under the NPS umbrella, but is not managed by the NPS, one that is launched by strong local support and commitment, and that must follow NPS standards and requires a business plan, but recognizes that one size does not fit all. Wait a minute; don’t we already have something similar in the NPS portfolio? 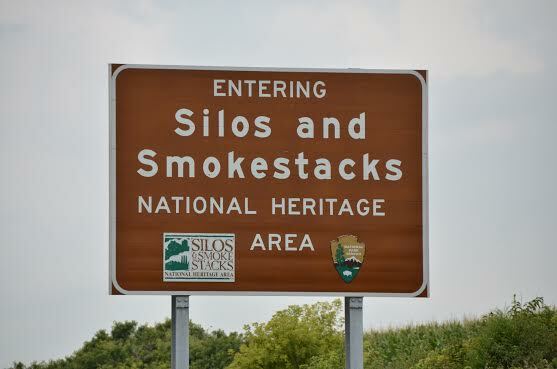 We do, there are 49 of them, and they are called National Heritage Areas. 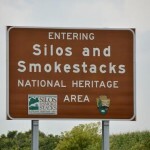 The irony is that institutionalizing the National Heritage Area idea is stalled in a stand off between the administration (actually multiple administrations going back to 2001) and the very congressional committees who are calling for a more market based approach. Although NHAs incorporate most of the efficiencies touted in Fretwell’s article and have a thirty-year track record, the NHA program legislation has been held up with claims of a federal overreach and as a federal land grab when nothing could be farther from the truth! So I ask those like PERC who are proposing that the NPS rethink how they leverage the national park brand to follow their own dictums. Let’s not create something new and shiny. Instead why not polish up the National Heritage Areas model and make it work even better for the next one hundred years. My first gut reaction was brand… AT&T Alexander Graham Bell National Park – NO! But trying to go with the article’s suggestion of re-thinking, being strategic, putting local advocacy and money to work, could have merits. Building on the current NHA program could produce results if a good look at the standards to be met for acquiring a “local” NPS status, without the promise of federal funding which currently hampers the NHA program. Great observations about NHA’s. Also could note that NPS already has a category of “Affiliated Areas” now about 25 places recognized as being of national park quality, but managed by others. NPS submitted a report to Congress about criteria for affiliates in 1990 but no action was taken.